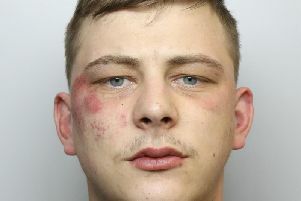 Police have released images of a man they want to speak to in connection with an alleged assault at a Morley nightclub. They said a 24-year-old was left unconscious after being attacked at JD’s nightclub, on Peel Street, at around 1.20am on Saturday, March 5. A police spokesman said: “The 24-year-old victim was approached by a group of males inside the venue and was punched to the face, causing him to fall to the floor and lose consciousness. “As part of their ongoing enquiries, officers are keen to identify and speak to the pictured man.